Experimenting with a new way for the user interface, applying files to tools instead of tools on files. 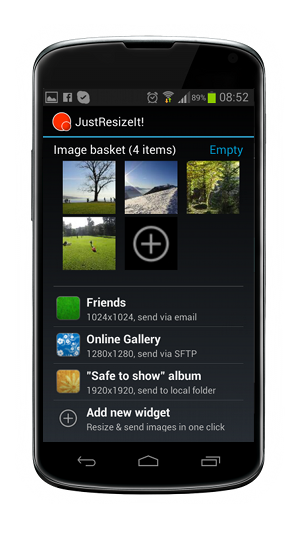 The user creates widgets that define how the images will be resized. Once widgets are created for every single purpose, he can drag and drop one or more images on a widget, wait a few seconds and drag and drop the resized images from the widget into an email, office document or a folder. 3DWiggle allows to create a wiggle 3D image out of two images taken by any digital camera or an already existing 3D image. Our brain is fantastic. It combines the left eye with the right eye image all the time giving us the perception of the depth. The 3D perception can be seen on any screen. No glasses needed. This opens great opportunities for websites and other media to attract views and give an unique experience. Whether you are a passionate photographer, stereoscopy lover or simply interested in trying out new things, enter the world of possibilities with 3DWiggle. Make your business card available online in one link or QR code. 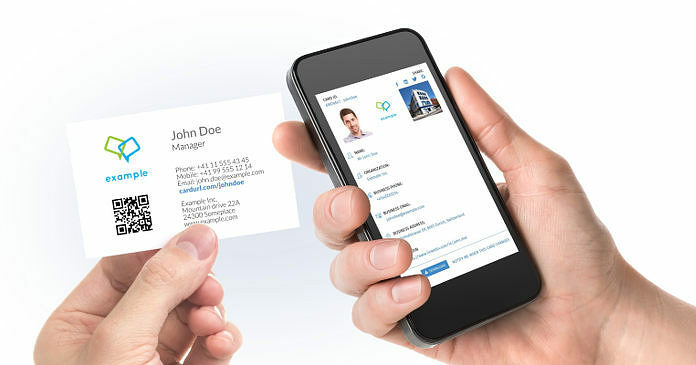 Business contacts are now available in one scan. No need to type in information by hand or cover the office desk with business card holders. With ONE simple scan of the QR code, your customers will be able to access your complete CardURL information at any time. CardURL provides you with a vanity URL and QR code that you can open in any browser and any device.